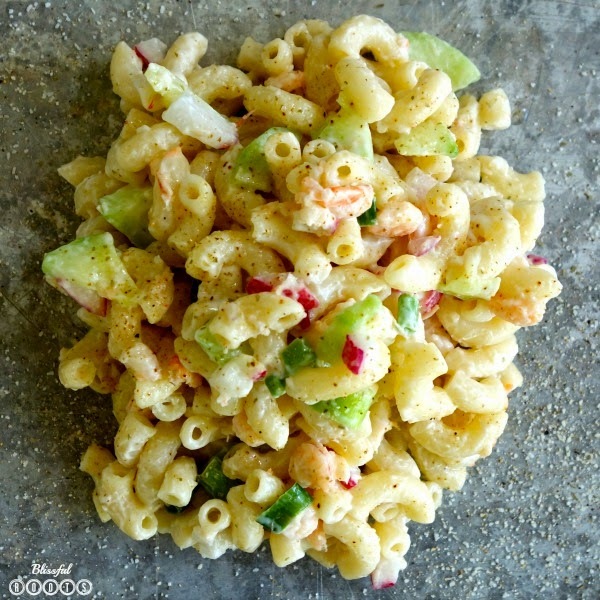 My mom must have made a pasta salad like this when I was still living at home because I kind of just throw ingredients in this recipe, and it actually works. Which means I must have had some experience with this salad before because I'm not so good at making up my own recipes from scratch. But, the origin of the salad doesn't really matter. What matters is that it's a crowd-pleaser, and makes the perfect side dish for all of the BBQs you'll be attending this summer. I hardly ever do this, but for this salad, I don't really measure. For some reason I just dare to add the amounts I'm comfortable with (I really need to venture out and try that on other recipes). I guess it's because I kind of made up what I put in it, and when you're doing that you just go off what you think, or like. 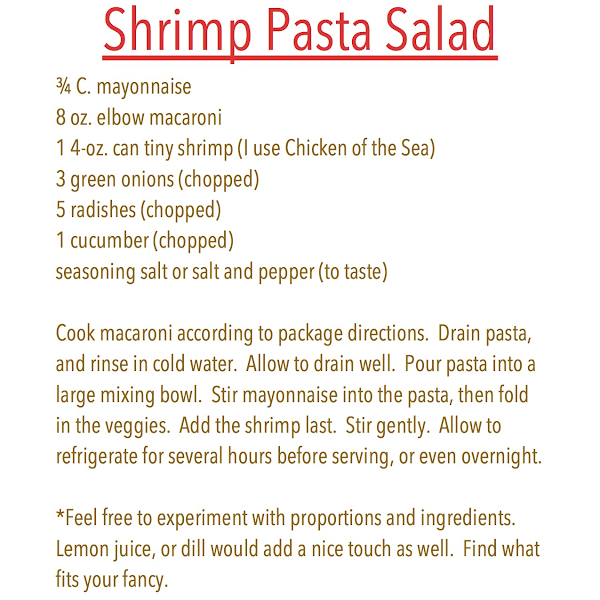 So, feel free to play around with amounts, proportions, or even the ingredients. I love the flavor the onions and radishes give the salad, but maybe you don't like those. Really, just about anything goes. The fun is in the experimenting. 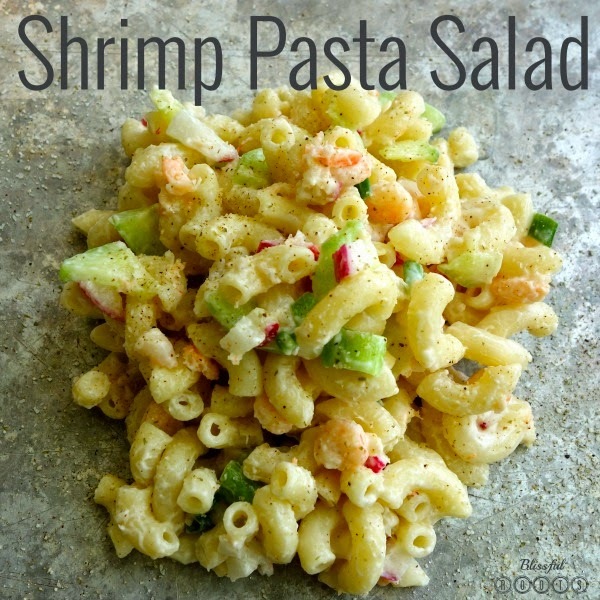 I actually like this pasta salad best the next day, so go ahead and make it ahead of time. 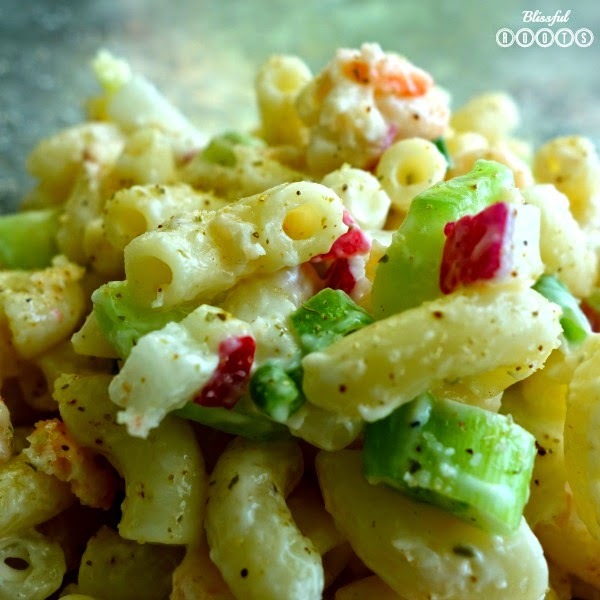 What are your favorite pasta salads? I love them, but don't seem to have too many great recipes for them. I'd love to hear what you have to share!